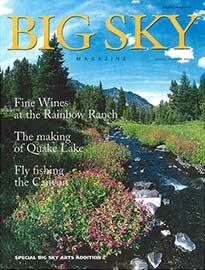 “”But why Big Sky?” some might ask. With so many other resort areas to choose from, why pick Montana? Collie said that with three of their four children now graduated from college and starting their professional careers, she knew she needed to own a place that would bring the kids home for a visit. “The Meyers contracted Montana-based Alpine Log Homes and Blue Ribbon Builders to design and build their dream home. 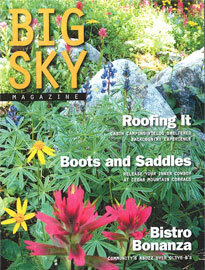 The oldest local builder in Big Sky, Blue Ribbon Builders has more than 30 years experience in high-end construction.